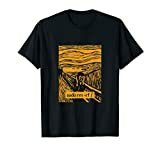 Shop for Linux T-Shirts and clothes. Linux users, SysAdmins, geeks, IT workers and more will love this classy take on the sudo rm -rf / shirt! Whether you're using regular expression for programming, shell scripting, or writing code, this nerdy tee can help! Good cheatsheet gift! Whether you're using regular expression for programming, shell scripting, or writing code, this nerdy tee can help! Good cheatsheet gift! Shirt with inverted regex syntax for easy reading. Linux trademark used under Fair Use. Linux is the registered trademark of Linus Torvalds in the U.S. and other countries. Simple Linux Themed Design. Linux Tshirt. 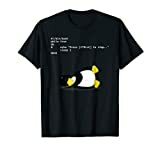 Linux Fans Tshirts. 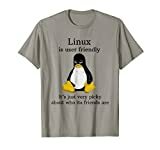 Linux Enthusiasts T-Shirt. 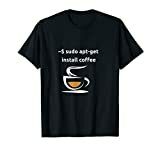 Sudo apt-get install coffee Tshirt. Open source Tshirts. This makes a perfect gift idea for Linux enthusiasts, Unix Geeks, Linux Open Source Fans, Open source geeks, Computer Geeks and Nerds, Linux Sysadmins, Open source programmers. I am root t-shirt for those system administrators who wish to remind their $users who has all the power. Features 'I am /' text which means 'I am root'. A status enjoyed by system administrators and trusted users. Do you use the Ubuntu operating system as your primary operating system? If so, you will most likely recognize this logo. If you are a fan of the Ubuntu OS, this t-shirt is 100% perfect for you! Stop Looking Now! This tshirt is the perfect way to express your personality. Know someone this fits? You've found the perfect gift for them. BUY NOW! Also be sure to check out our store for other hilarious shirt designs! Let your true geek shine with Linux Tux Polo Golf Shirt. The computer expert in your life will appreciate Tux the Penguin, official mascot of the Linux kernel. 100% cotton pique-knit polo sport unisex shirt. Medium fits chest/bust size 38-40, L fits 42-44, XL fits 46-48, 2XL fits 50-52. A ComputerGear exclusive; Machine wash/dry .